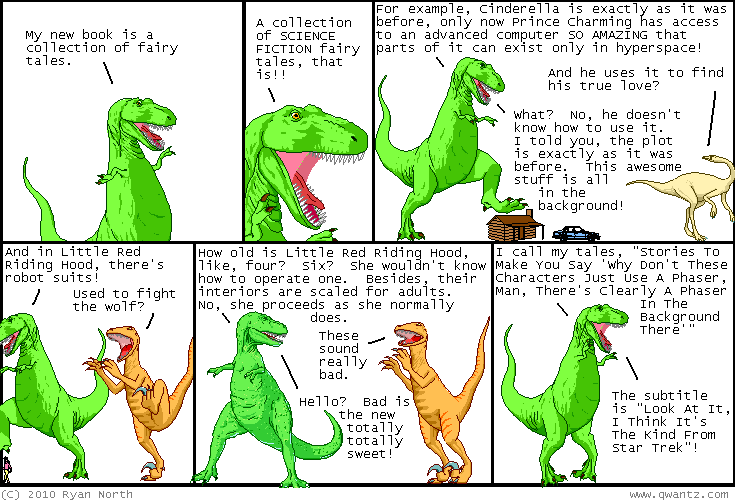 Dinosaur Comics - April 27th, 2010 - awesome fun times! –That meant, of course, that Bill was now a werewolf!! April 27th, 2010: Here is a comic I wrote and I hope you like this comic I wrote!! In other news if you would like to watch the Apollo 11 launch in slow motion HD then the internet has you covered. Go the internet!